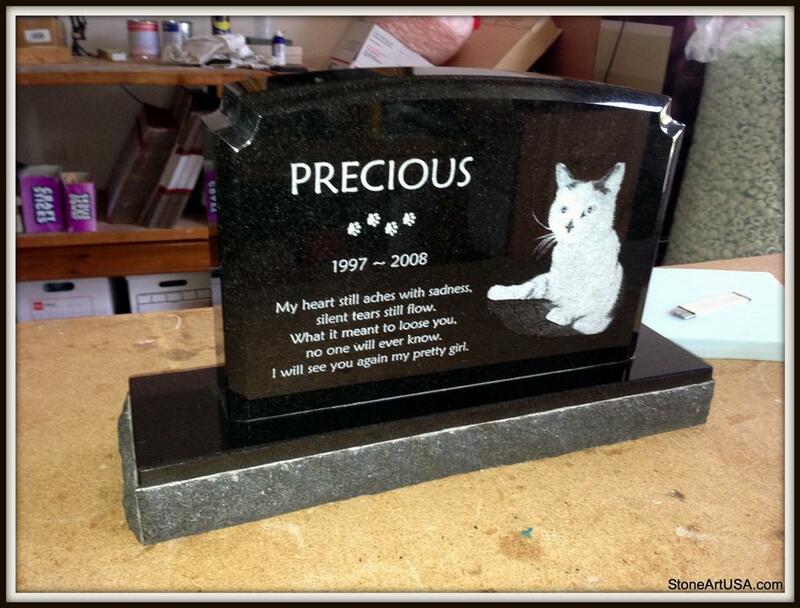 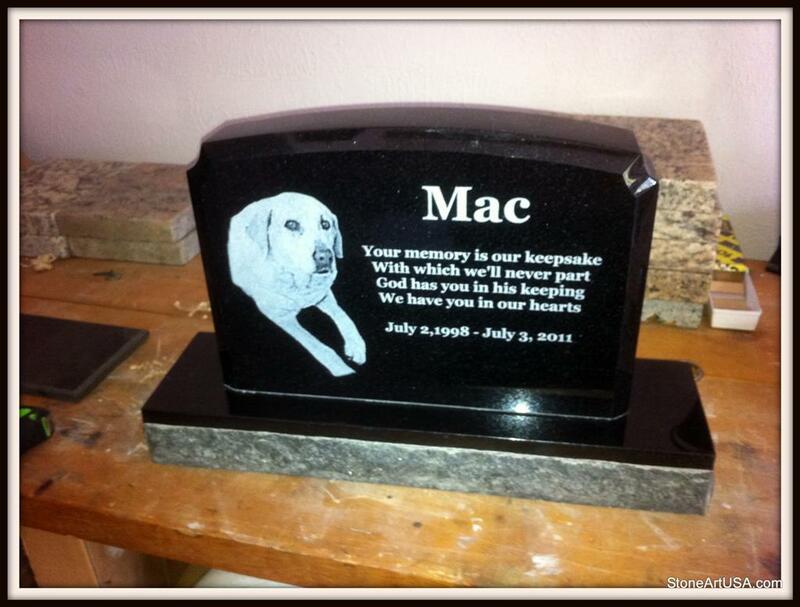 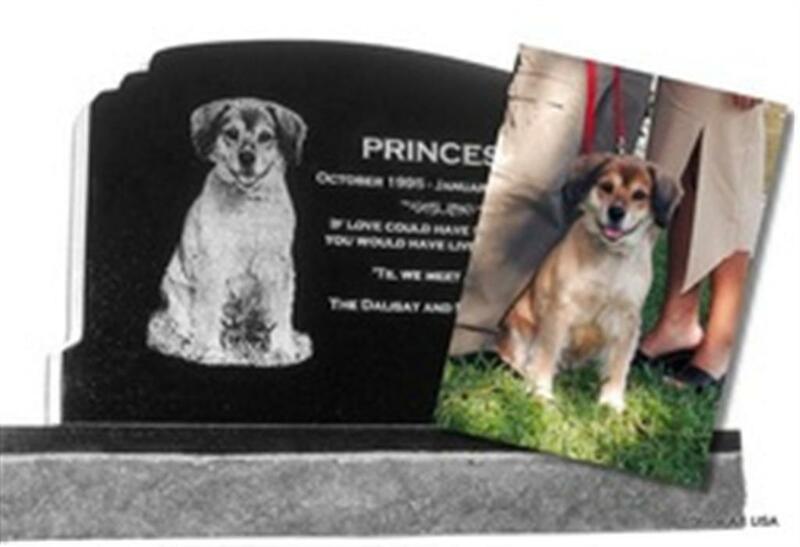 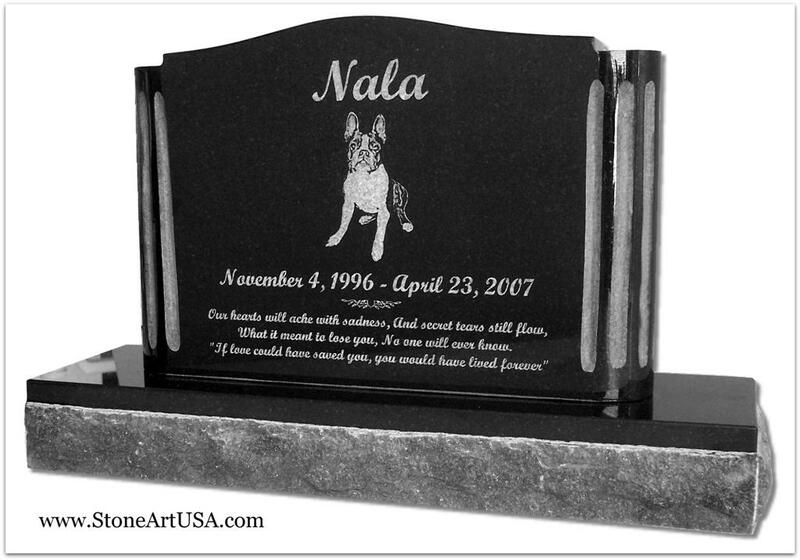 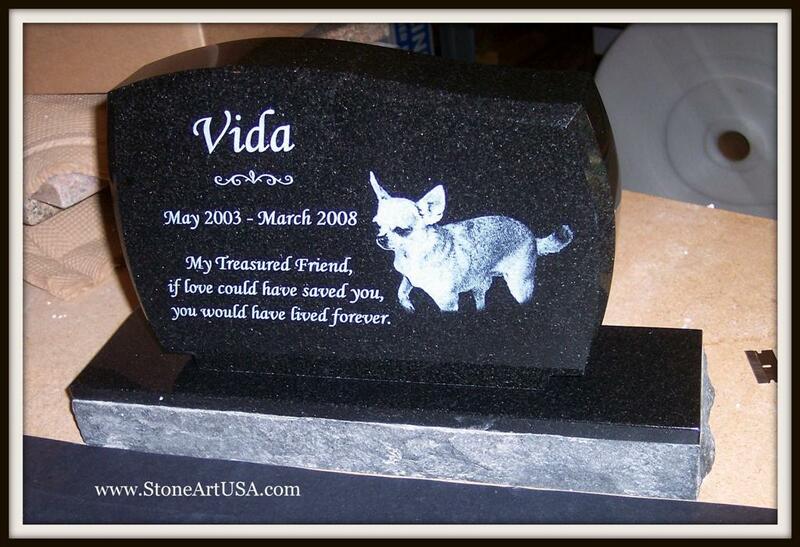 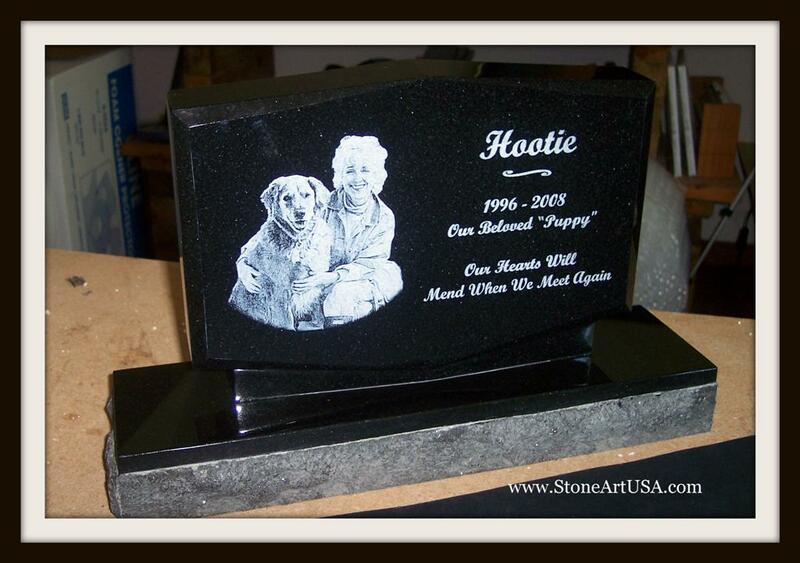 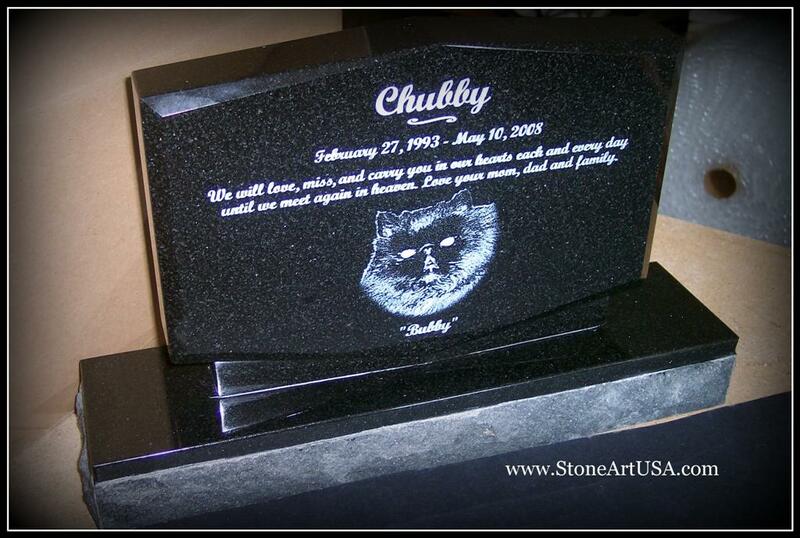 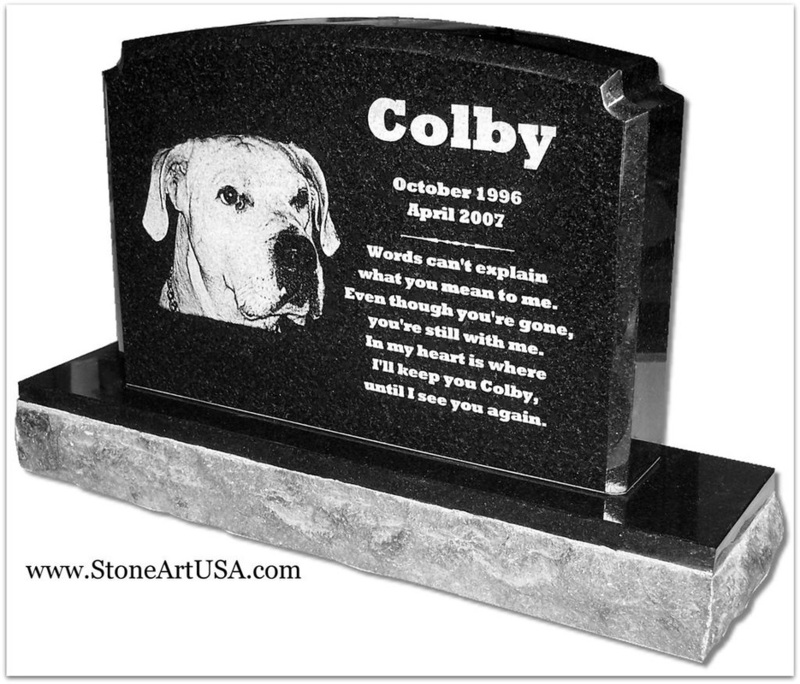 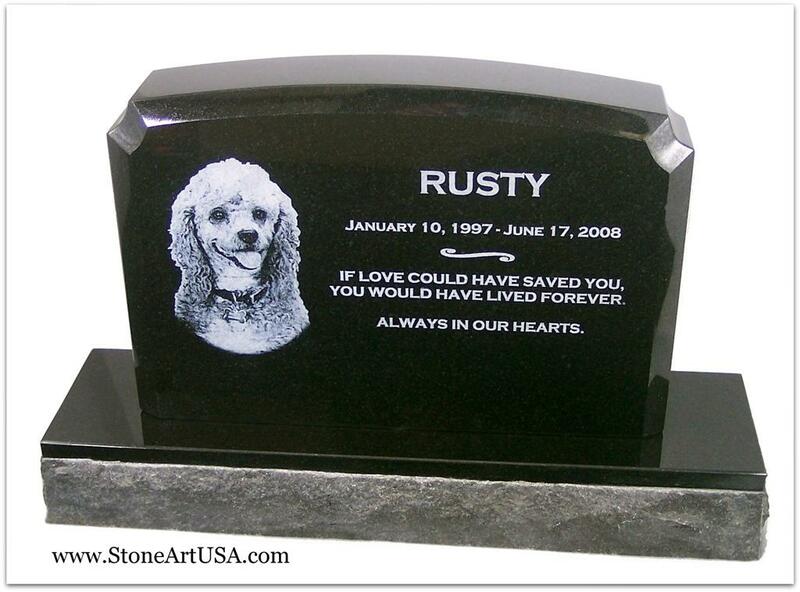 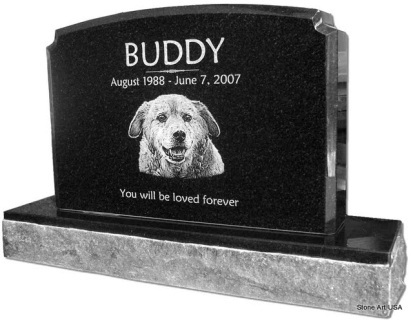 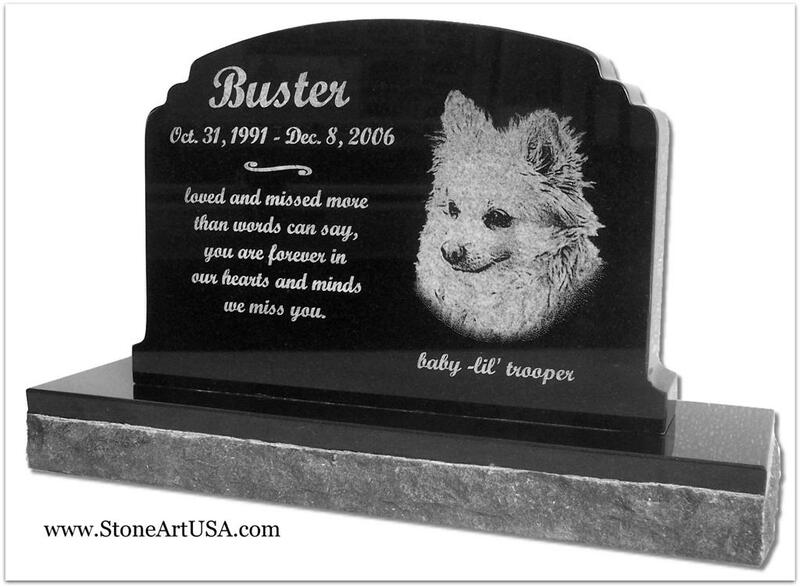 Custom made Monument style Memorial Marker for pets and other loved ones. 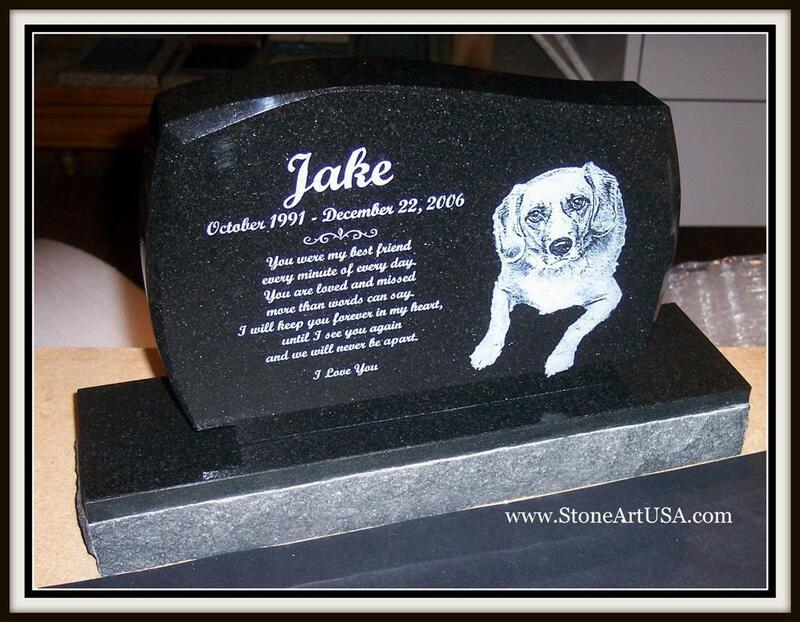 Custom designed with your pet's photo and your text. 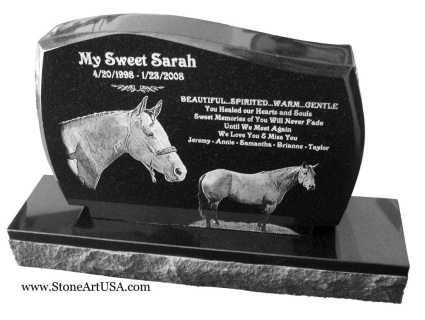 These beautiful Pet Monuments are a scaled down version of the large human type monuments that you see in the cemetery. 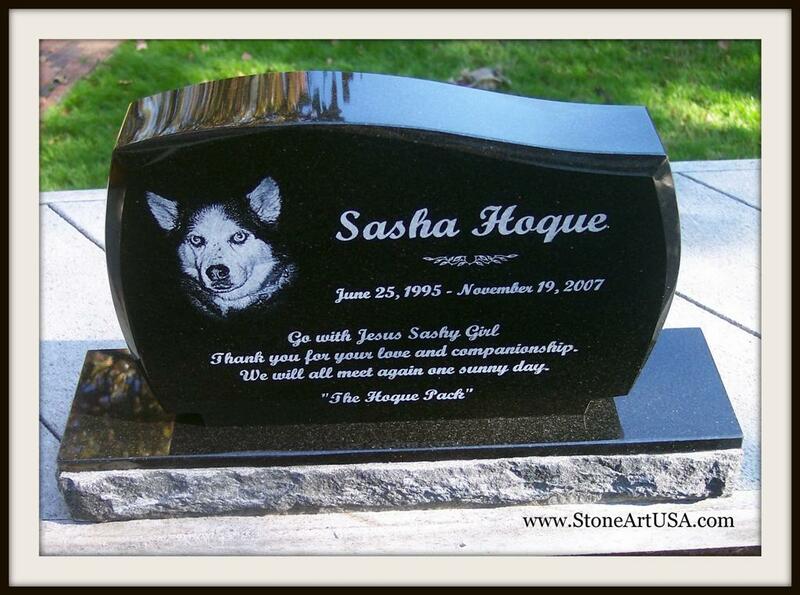 Special cut solid black granite and truly stunning whether in the pet cemetery or home garden. 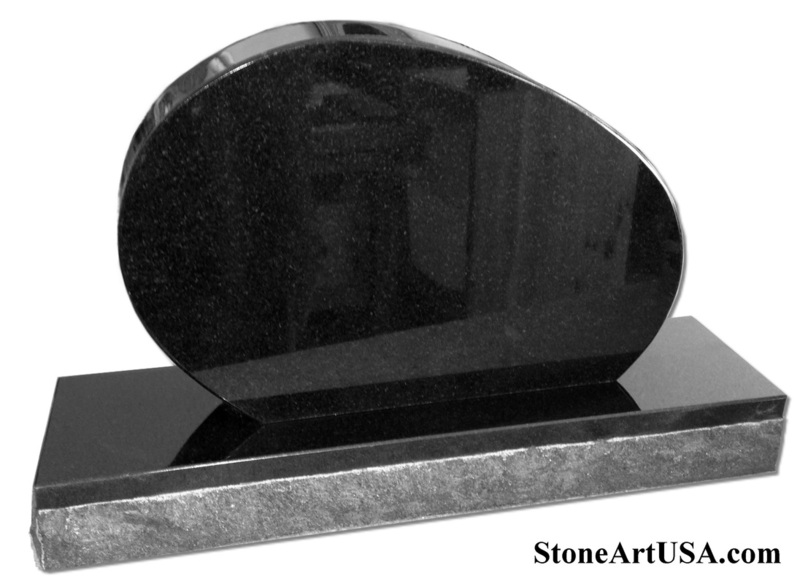 The die (top portion) is highly polished on all sides. 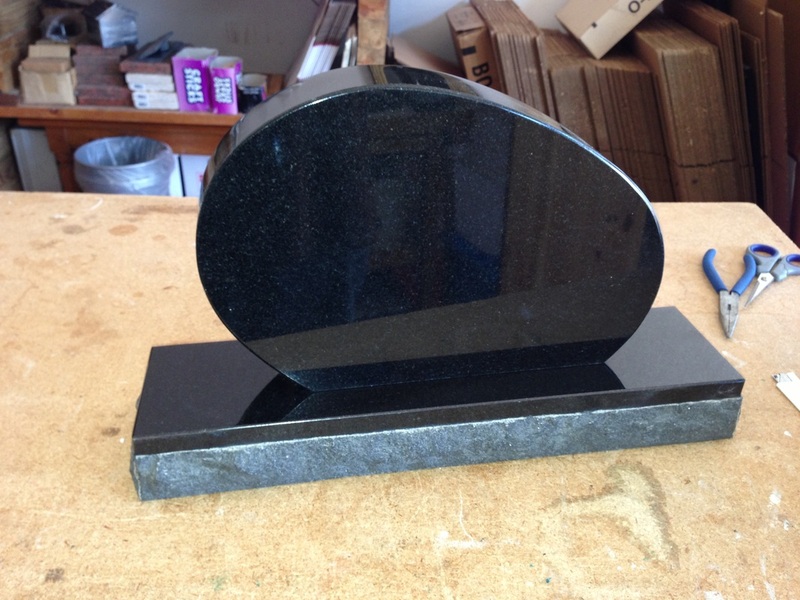 The base (bottom portion) has a polished top surface with a 1/4" polished chamfer and rock pitch surface on all four sides. 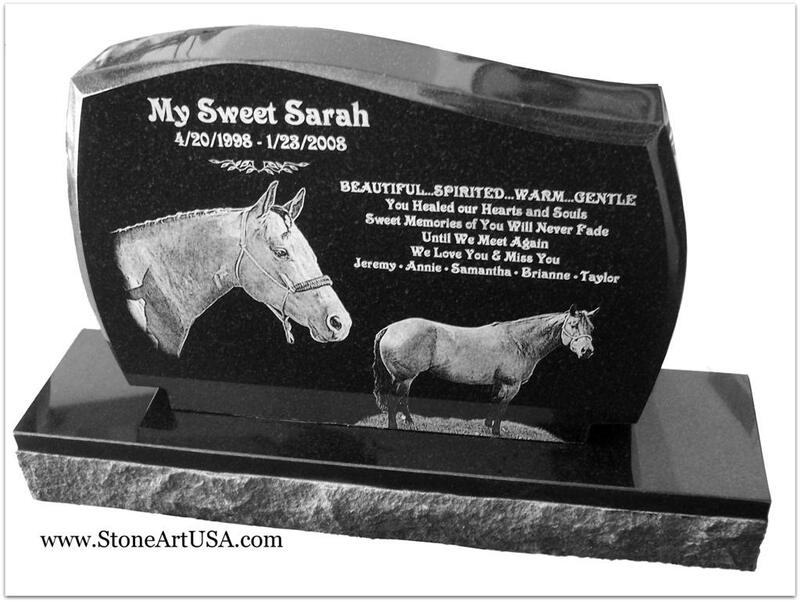 Designed for outdoor display. 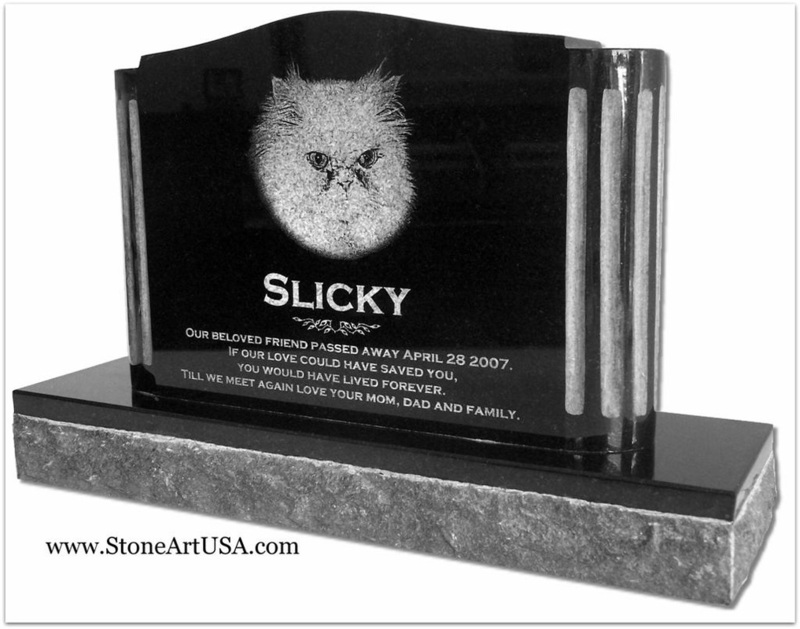 After checkout you will be directed to submit your marker's text & photo. 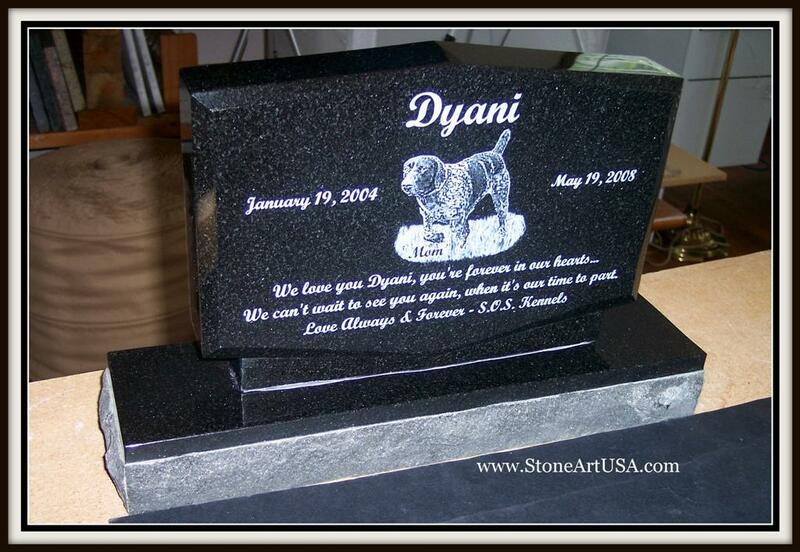 die - 12" x 8" x 2"
base - 14" x 4" x 2"